Ken Corbett is Clinical Assistant Professor at the New York University Postdoctoral Program in Psychoanalysis and Psychotherapy. 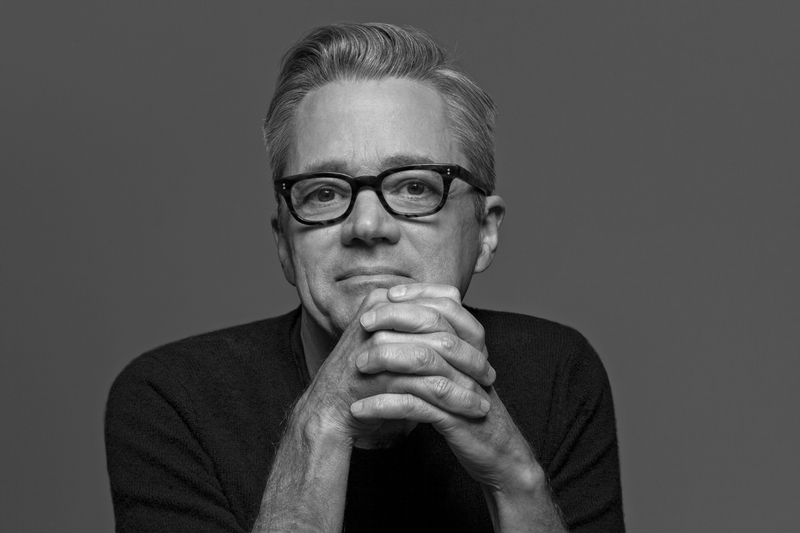 He is the author of Boyhoods: Rethinking Masculinities and A Murder Over a Girl: Gender, Justice, Junior High. Dr. Corbett has a private practice in New York City. But as he brings careful precision and a trained clinical eye to the desperate, painful facts... of the shooter and victim—Brandon, white, from a broken and violent home, was 14 at the time of the shooting and beginning to exhibit white supremacist loyalties; Larry, mixed-race, removed from his adoptive home on charges of abuse, had just begun to identify as transgender—Corbett also excavates the chilling and dangerous beliefs that led the defense to construct a persuasive story of a “normal” boy pushed over the edge of self-control by a flamboyant “queer.” He draws out the suspense of the courtroom drama by intertwining his professional knowledge of adolescents, gender, and trauma with empathetic portraits of the people involved, and he recounts his personal struggle to understand the case as it unfolds. Corbett depicts these events as a story in which emotion outweighs logic and ethics, in which exhibiting gender variance is a worse crime than hatred, and in which the human mind makes sense of something confounding through denial and erasure. Profound and disturbing, this heartbreaking testimony of our culture’s worst fissures suggests that understanding is the only way to heal. It achieves its extraordinary narrative intensity not through any sensationalizing of the facts, but rather through its author’s quiet authority, piercing insights, and his refusal to deliver hasty or easy judgments. Through patience, respect and empathy, Corbett allows us to see how dehumanization conceals a consequential and potentially fatal refusal to confront loss. And in confronting loss, this book renders justice, restoring to the memory of the victim her dignity, her vital subjectivity and her agency. A Murder Over A Girl is magnificently written, shattering, original and immensely valuable. Harrowing, humane, and utterly engaging, A Murder Over a Girl is a triumph of storytelling, delivering deep insight into gender and adolescence while drawing us into a fascinating narrative. It is a book very much of the moment, but at its heart it is a classic tale of human emotion. You could say Ken Corbett was put on earth to write this stunning book. Now is the moment in our history when we need him to be our secret agent, our witness, our guide inside the maelstrom of this mad hatter court. With great compassion, insight, and care, Corbett takes us to the scene in which one transgendered child’s daring and vibrant bid to become a girl met with the murderous rage of a boy well-taught in holding and using a gun. A murdered girl is gone, a nearly undocumented life, yet her spectre lives on in this remarkable book, a narration that enters us into the minds of those who make hatred into a form of pernicious reasoning. A Murder Over a Girl is about youth culture, gender, school, and the failures of the legal system, about cunning reversals in argument whereby murderers are cast as victims, and the traces of the dead are nearly effaced. Corbett does justice to this death and to this life precisely on the occasion, the trial, when legal justice failed her, with a book both intelligent and loving, exposing a world tragically lacking in those very qualities, calling upon us all to intervene to halt gender violence before it begins. A Murder Over a Girl narrates a searing tragedy, meticulously laying out the aftermath of the crime, exposing the pathos not only of the victim, but also of the classmates, parents, jurors, lawyers, and others who had to grapple with the troubling nuance of the case. And in doing so Corbett unforgettably reveals the flaws of the American judicial system, the destructive influence of sensationalizing mass media, and the blindness of good intentions at the intersection of masculinity, grief, prejudice, and empathy. There are events that break out of a culture as illness breaks out of a body. 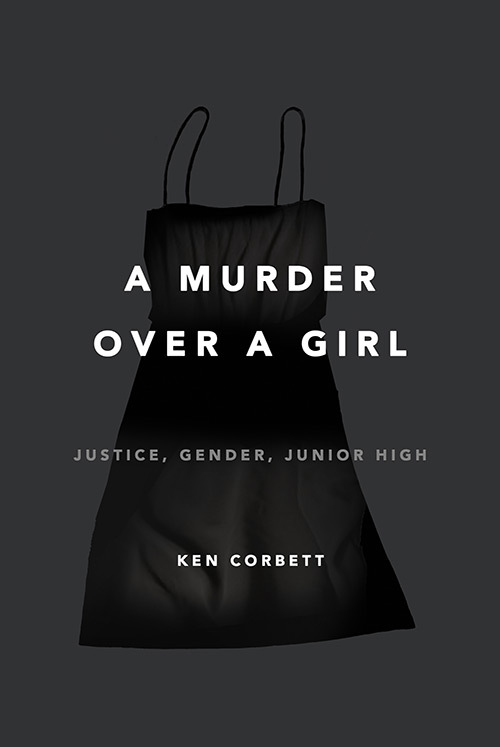 Ken Corbett has written an account of a crime yes, a trial yes, a tragedy, but he has also perceived a way for us to comprehend the gender dis-ease just below our cultural skin. This is a brilliant and necessary book. One young teenager is dead. Another is a murderer. And all of our contemporary dividing lines--race, gender, class, orientation, homophobia, privilege, and fear of the unknown--are drawn in a California courtroom. Telling this devastating story with clarity, empathy, and insight, Ken Corbett brings his profound understanding of the minds of boys--their hopes, their dreams, their terrors, their longings--to bear in the service of making the unimaginable clear to us. This essential book will broaden your mind even as it breaks your heart. Ken Corbett corrals the chaos and trauma of the King murder trial into a riveting story of the “cratered minds” that result from, and perpetrate, violence. With an analyst’s atunement, he also takes us beyond the courtroom, imagining his way into the lives and minds of Brandon McInerney and Leticia King with nuance and tremendous compassion. He gives a devastating account of the emotional landscapes of the school, the families, and the communities in which both murderer and victim were and were not held. Corbett’s determination that this crime be named and these lives be told results in a powerful and heartbreaking book. of questioning any existing school of thought: Does a strict, heterosexual reading of the oedipal triangle still functions in modern analysis? Should boyhood femininity be suppressed in favor of the gender binary? Can aggression be a productive, even healthy, quality among men? 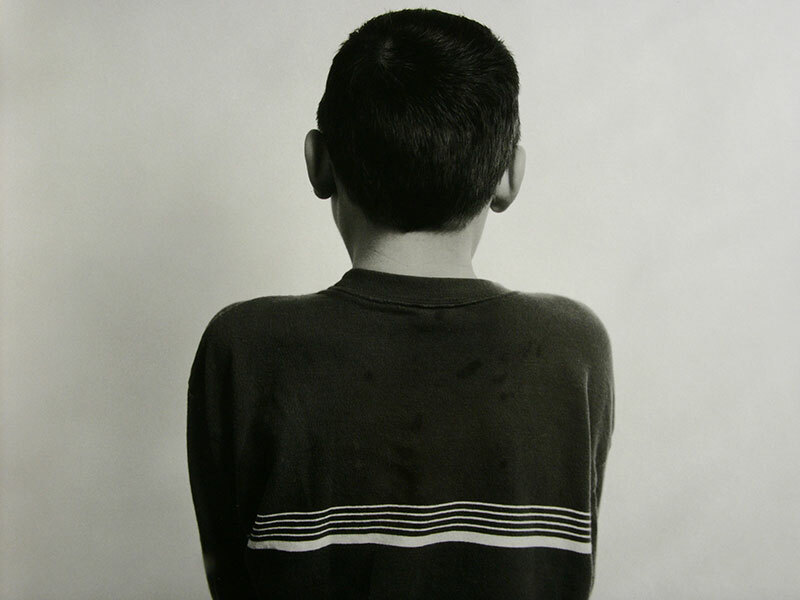 Corbett's frank discussion of the emotional and sexual fluidity of boyhood play, as well as his honest assessment of himself as both a gay man and a professional, go a long way toward expanding the boundaries and methodology for understanding boyhood. Practitioners facing what Corbett calls a "category crisis" with their patients will find this most useful, but a wider audience should get caught up in Corbett's social, cultural, psychological, and biological critique. More case studies would produced a richer experience, especially for concerned men, but Corbett's praise-worthy challenge to still-persistent myths of masculinity is an absorbing read that pushes psychoanalysis into the 21st century. Weaving together clinical experience and diversely illuminating theoretical approaches Corbett has managed to do justice to the singularity of each boy’s experience of growing up, without having to give up on the generalities of developmental theory. There has never been a book, written from a psychoanalytic perspective, so amused and amusing and subtle about gender. 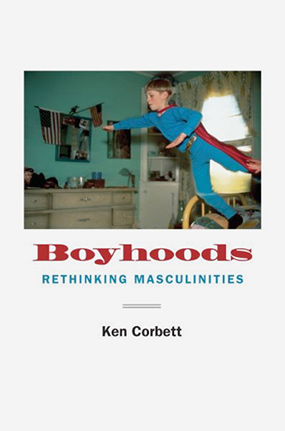 The masculinities described in Boy Hoods, and the way Corbett has found to write about the subject, will radically change how we talk about boys growing up. Reading and discussion with Judith Butler. Reading and discussion with Maggie Nelson. Panel Discussion with Adrienne Harris, Ben Kafka, Ann Pellegrini, and Jeremy Safran. Sponsored by The NYU Postdoctoral Program in Psychotherapy and Psychoanalysis, The Ferenczi Center at the New School, The New York Institute for the Humanities, and the NYU Deptartment of Performance Studies. Shifting Sexual Cultures, The Potential Space of Online Relations, and the Promise of Psychoanalytic Listening — Journal of the American Psychoanalytic Association, 2013, 61: 10-23. Break the Circle: Bullying Fantasies, Normative Regulation, and the Ghost of Melancholy — Psychoanalytic Inquiry, 2013, 33: 166-173. Boyhood Femininity, Gender Identity Disorder, Masculine Presuppositions, and the Anxiety of Regulation — Psychoanalytic Dialogues, 2009, 19: 353-370. Little Hans: Masculinity Foretold — The Psychoanalytic Quarterly, 2009, 78: 101-132. Gender Now — Psychoanalytic Dialogues, 2008, 18: 838-856.